When one hears of a group of ladies travelling together, one conjures up images of kitty parties, mahjong or rummy, pickle recipes, clothes, shopping and the like! Was I ready for this?! However, I realised that certain instincts are stronger than one’s common sense; I took the plunge and enlisted with the WOW Club to be a part of their entourage to Tanzania. The call of the wild was alluring and the strong urge of wanderlust was too much to resist. The group of 20 was headed by Sumitra Senapaty herself and we came together as a family on the first evening over fine dinner and wine. This welcome was more than heart warming and for the rest of the seven days one remained in a bond together, experienced the marvels of nature together and shared with one another. To see so many of the animals free in the wild, migrating, living, moving as a herd and family, facing the vastness of the Serengeti, the seclusion of the Ngorongoro Crater, the expanse of Lake Manyara — it was all a learning experience. The very proximity with nature and to behold her supremacy humbled me. Truly, after visiting and experiencing the Serengeti, life does not remain the same again — it becomes better. This Tanzania trip encouraged me to travel again with the club – and this time to a different destination. So off I went to Spain with them! 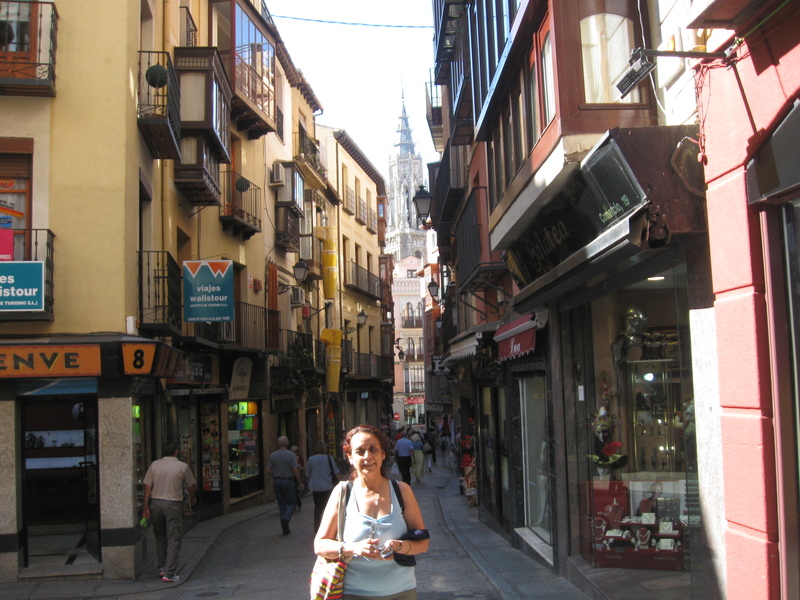 It was thrilling to travel through Spain and feel its pulse. Be it the Flamenco, the Grand Palace in Madrid, the bull fighting rings, the vineyards of Seville, or the quaint and undulating cobbled streets of Cordoba. One would not normally put this in one’s itinerary; but I am glad I got a chance to know more about the history of bull fighting and bull breeding. In fact the guide looked at us and said ‘what have you done to your men?’ I smiled and said ‘they have been cow-ed down’. Savouring the local cuisine and sampling the wine, not to forget Sangria, is an exhilarating experience for a gastronome. Granada with its gardens and Al-Humrah palace is a treat in itself. And of course, how can one forget Barcelona — the hometown of Gaudi! The Gothic feel of the Jewish Quarter; the church of Sagrada Familia is by itself an imposing piece of architecture and its inner sanctity surely purifies one. The group was given enough free time, apart from travel time. The hotels were all in the heart of the town/city, so moving about was not a problem. Sometimes language barrier can be daunting, but then what else is sign language for?! This gratifying experience with the WOW Club, twice over, prodded me on to take another trip with them - to Russia.One has read and heard about the land behind the Iron Curtain, its totalitarianism, but I was surprised to see the openness and warmth of its people and cities. Mostly one visits St.Petersburg (a very picturesque city) and Moscow—but that is not true Russia. WOW provided the opportunity to breathe the countryside of Russia—Suzdal, Vladimir and Zagrosk. I was astounded to see the past opulence of the Czars and in contrast the simplicity of the smaller towns. The people are friendly,contrary to what one has read. They might feel a bit unnerved about the change, but they love their country. They are proud of their heritage and the renovation and preservation of their country’s assets are remarkable. There is a lot we can learn from them — after all, our country was once called the ‘the golden bird’ long time ago. It is this that makes WOW different from the rest. Their thoughtful planning of the itinerary; the activities and leisure time; travel time; even shopping time; and comfortable hotels makes them stand out as a travel organisation. All my apprehensions of travelling with my own kind(only ladies), alone, have been dispelled and I simply love it! !